Okay normally I have a dislike for so called big apples. Take the Acacia Ridge Apple or the Spreyton Apple but Thulimbah kills it! 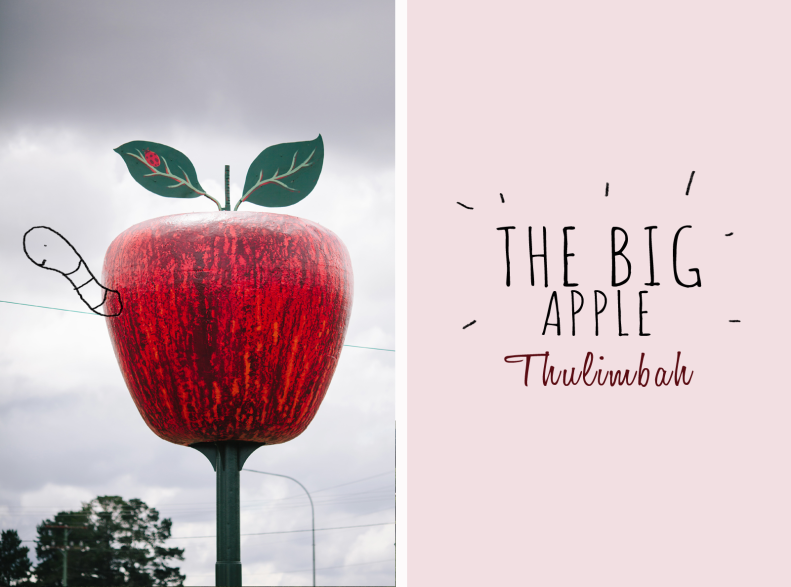 Not only is Thulimbah’s Apple big, it’s also realistically well made. The Big Apple sits on a pole outside a shed/café called Vincenzo’s but don’t be suckered in like I was and grab a meal there. Not only did my not-so-cheap pizza take forever to come out, it was burnt when it arrived and I could only eat half of it (despite it being small and my hunger being huge). They also managed to create an extremely average milkshake - still that was 2013 maybe they have stepped up their game since ?!? Address: New England hwy, Thulimbah, QLD outside Vincenzo Café.